Looking for an MP4-to-WAV converter? MP4 is among the most popular video formats. 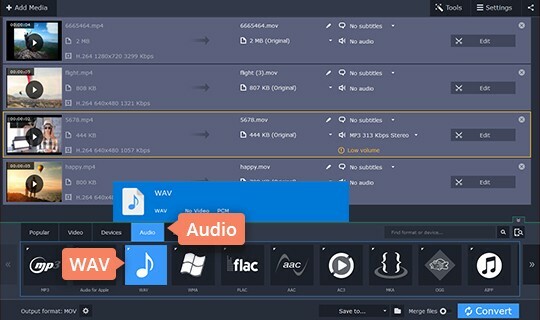 Even so, it is not supported by all media players, and sometimes you even have to change the format of your files to play them back on your own device. If your only concern is the soundtrack, it’s best to convert your data from MP4 into WAV – one of the more accessible audio formats. 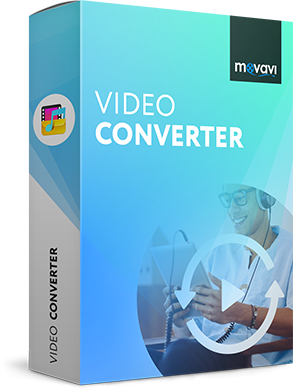 The Movavi converter can do everything you need in terms of converting files and much more. 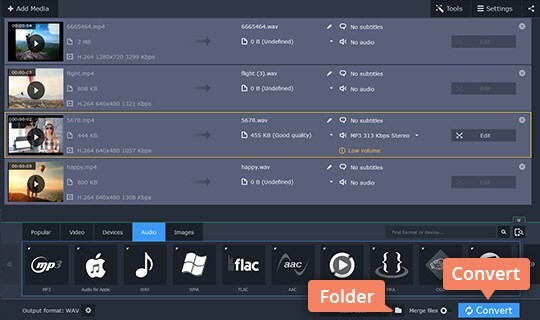 The program supports over 180 different multimedia formats and provides, among other things, lightning-fast MP4-to-WAV and WAV-to-MP4 conversion. Download the app and start experimenting with its many cool features after reading this step-by-step guide. Double-click the installation file you’ve just downloaded and follow the instructions on your computer screen. 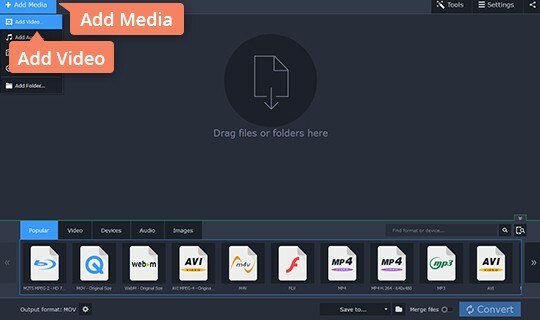 Go to Add Media > Add Video and select the desired MP4 files for conversion. 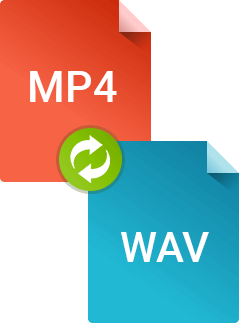 If you want to convert WAV to MP4, click Add Media > Add Audio and choose the WAV files. Open the Audio tab, click the WAV preset group, and choose the preset. For WAV-to-MP4 conversion, open the Video tab, click the MP4 group, and choose the preset that’s best for you. Click the folder icon to set the Folder in which you want to save your files. Click Convert to start the process.